I’m on a short vacation this week, so I’m revisiting a post I wrote in 2015 and tweaking it just a bit. 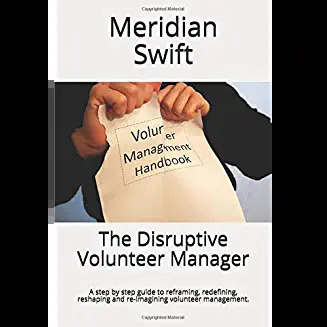 Volunteering needs to have its own chaos theory: You know, the one that starts with “if a butterfly flaps it’s wings in Brazil, will it spawn a tornado in Texas…” because engaging volunteers can be quite chaotic. Have you noticed that a lot of really smart people look at volunteerism in a very linear way? 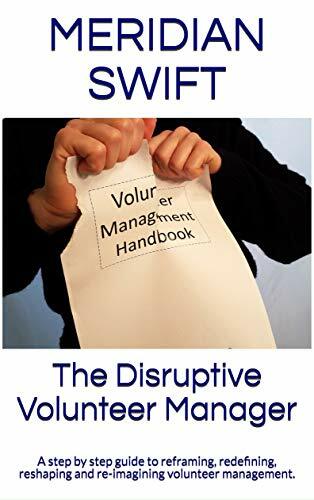 Their volunteering theory in no way takes into account any chaotic variables that affect whether a potential volunteer follows through, or an existing volunteer stays. Instead, it all depends upon how well volunteer managers “sell” the program. Volunteer Manager (VM) sitting at desk. A long line of prospective volunteers stand outside the door patiently waiting for their turn to do good. VM: Who’s next? May I help you? New Volunteer Jeremy (J): Hi, I’m answering your ad for volunteer help. Can you tell me more about it? I really want to do good and I can’t do good on my own so I came here. VM: Why yes, we need someone to do good by helping put up supplies. J: Oh my gosh, this is unbelievable, I have a Master’s Degree in putting up supplies! I’ve put up supplies for most of my life. I love nothing more than to put up supplies! When can I start to do some good? VM: Well, you first have to go through some orientation and training. There’s four sessions starting tomorrow. That might be a bit last-minute. J: Tomorrow, huh? Well I had some important surgery scheduled for tomorrow, but I think I’ll reschedule that. To do good by putting up supplies is far more important. I can take the pain a little longer for the chance to volunteer here. VM: Wonderful. After that we need to do a background check. It needs to be done before you come to training. That just gives you this afternoon to get it done. J: This afternoon, huh? I actually have an interview for the job of my dreams this afternoon. It’s a job in putting up supplies, but hey, I’ll bet they’ll understand if I don’t come. I’m sure another job of my dreams will come along in another decade or so. After we speak, I will go to the police station and do the background check. I’ll pay for that myself. While I’m there, do you want me to pay for some other volunteers? VM: No, that’s not necessary, thank you. Let me check the schedule for the all-important supply put-uppers. Are you available to work on Tuesdays? J: Wow, Tuesdays, huh? That’s the only day I have to take my elderly Mother out of the nursing home. She really loves our outings, but hey, what the heck, putting up supplies for you guys is so much more important. I can maybe write my mom some letters. I’ll be here every Tuesday doing good! By the way, what kind of supplies are we talking about? VM: Well, our organization gets shipments of office paper supplies on Tuesdays. No one here is willing to do that work. J: Office paper supplies, huh? I’m violently allergic to office paper, but you know, my college thesis was on the body mechanics of putting up office paper supplies! That’s where I learned I was allergic. But, I’ll just go to my doctor after the background check and get some stronger medication. Is there an emergency room close by here, just in case the medicine doesn’t work? VM: There’s a hospital about five miles from here. J: That’s fine, I’m sure they have ambulances. VM: You do know, Jeremy that you will have to work alone in a hallway closet. There’s not much light or air, but that’s where the supplies are kept. Is that all right? J: I do have a fear of the dark, but what the heck! My minor in college was working alone in a closet, where I learned I had a fear of the dark, but I’ll just bring my own flashlight. VM: Great, we will see you tomorrow. Thanks so much for volunteering. Next! So, in this linear theory, volunteers pretty much show up, then set aside and overcome any and all barriers to volunteering, because nothing will stand in their way. But, in reality, even the most well-intentioned and eager volunteer can be thwarted by outside factors. Have you ever recruited the most promising, amazing human being, only to have a change in job status, unexpected move or family circumstance steal them from you before they even get started? It can shake you and make you feel that all your hard work has been wasted. Chaos surrounds volunteerism. Unlike a paid position, any extenuating circumstance can interfere with a volunteer’s commitment to follow through. The tenuous bond volunteers establish with us can fray at any moment due to events beyond our control. It happens to all of us and when it does, it feels like that chaos butterfly is slapping us in the face with their wings. There’s no point in obsessing over the stories of “the volunteers that got away,” so we dust ourselves off and continue on, hoping that chaos will smile on us and allow the next eager volunteer to actually get a chance to become a valued member of our team. We keep that potential volunteer’s information in a drawer. Sometimes we get lucky and the butterfly wings flap in our direction. When the volunteer is able to return, they will, because we didn’t guilt them about a family member falling ill or a child of theirs needing help and instead, made them feel as though we understood that circumstances kept them from us. It’s those nuanced moments that can affect the direction our chaos takes us. Treating volunteers as more than bodies to fill tasks leaves a lasting impression on them. And even if circumstance never permits them to return, they will spread the message to others that our program cares about volunteers as people with real lives. Maybe we have to endure more chaos than most. And maybe it’s difficult explaining the variables that keep volunteers from following through. But maybe, in this chaotic world, the next great volunteer is waiting for us to find them. Thanks Eileen! Sometimes absurdity is the way to describe how some folks view volunteer engagement. Thank you Astrid, appreciate your kind comment.